should helipads be allowed on private buildings in the coastal city of Mumbai? Would the din from helicopters make the city noisier? These are the questions the Maharashtra coastal zone management authority has to decide. On August 4 the authority called a meeting with those lobbying for private helipads and anti-noise pollution activists. At the end of the meeting, activists alleged the authority is under the influence of the helipad lobby. "Municipal Commissioner Jairaj Phatak (also a member of the authority) said in the meeting every world-class city has private helipads; Mumbai has been left behind due to objections from citizens," said Sumaira Abdulali of Awaaz Foundation, a Mumbai-based non-profit working on noise pollution issues. "Noise pollution from helicopters landing and taking off in residential areas would 100 decibels (dB). The permissible noise level in a residential area is 55 dB," she said. When contacted, coastal management authority members refused to comment. On March 2, the Maharashtra government had amended the Maharashtra Regional and Town Planning Act, 1966, to allow helipads on rooftops and terraces of private buildings. The government asked the Municipal Corporation of Greater Mumbai to amend its building bylaws accordingly. But the elected members in the civic body's Improvement Committee did not approve the change citing noise pollution concerns. The government order says the helipads shall conform to regulations prescribed by the Ministry of Civil Aviation and the coastal zone management authority will look into the environmental aspects. But it does not mention how to mitigate noise levels from helipads. 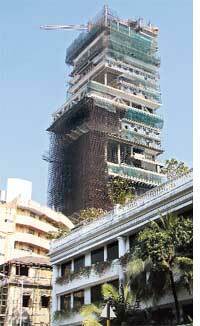 The helipad debate started in June last year after the civic body stopped the construction of a helipad atop Sea Wind, the residence of industrialist Mukesh Ambani in south Mumbai.